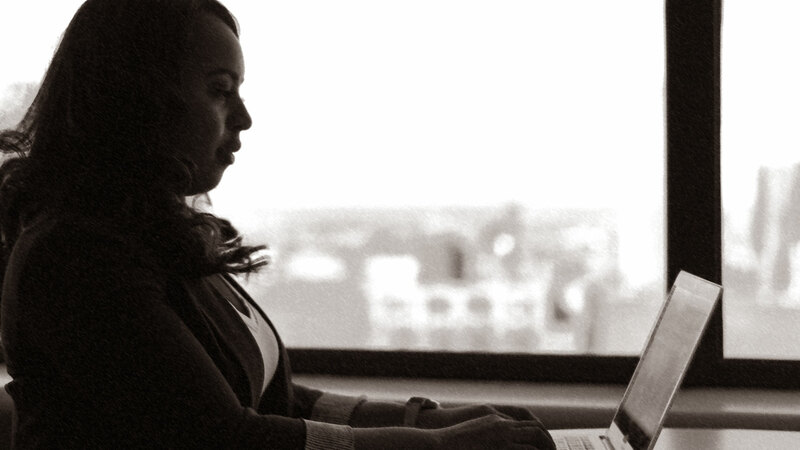 Silhouetted image of a woman using a laptop by a large window. The large open space in the middle is perfect for adding black or dark type. Available in standard (4:3) and wide (16:9) slide formats for use in PowerPoint or Keynote presentations. 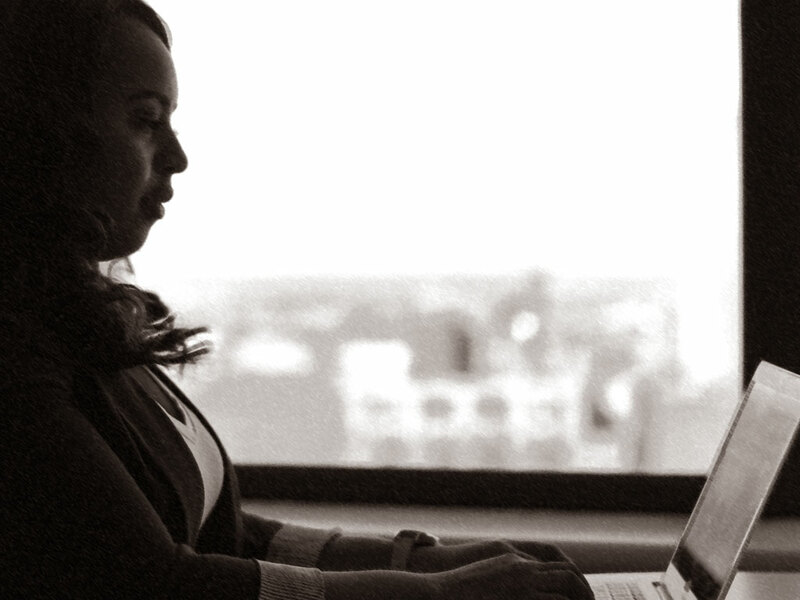 This is a highly-modified version of a photograph downloaded from the Women of Color in Tech website. Photos on the website are licensed under a Creative Commons Attribution-License.